This latter one is important as the BBC in particular have a habit of rolling the Christmas Special as the sixth episode of six if they are scheduling before Christmas. Many US sitcoms will have Christmas (and Thanksgiving, and Halloween) episodes, but just as part of the regular run. Will we stick to these rules religiously. Maybe. While you ponder that, this is screenshot from today’s special, which despite what it looks like, really is a Christmas special. What’s that you say? 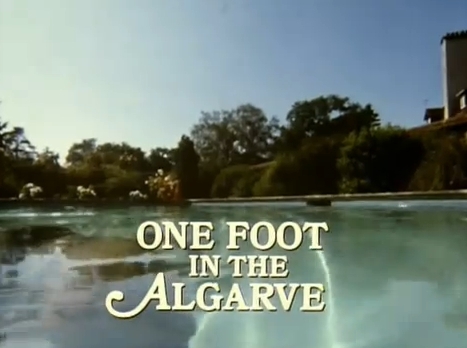 In which someone notice that all the letters in GRAVE AL are also present in ALGARVE, and thus Victor Meldrew, and his long suffering wife get into no end of farciacal scrapes on holiday in the Algarve. And then Victor Meldrew says “I don’t believe you” all the time, despite ridiculous, farcical things happening to him all the time. I remember watching it with the family when it was on, sharing the misery, and being really rather embarrassed by the opening couple of minutes which appears to be a not-too subtle Emanuelle parody. Peter Cook plays a paparazzi who is probably best off out of the Leveson enquiry, and the whole thing is a little bit jingoistic and has nothing at all to do with Christmas. Remarkable statistic: 20.01 million people watched this on Boxing Day 1993, the astronomical figure boosted by ITV effectively waving the white flag by only offering a repeat of Poirot by way of reply. 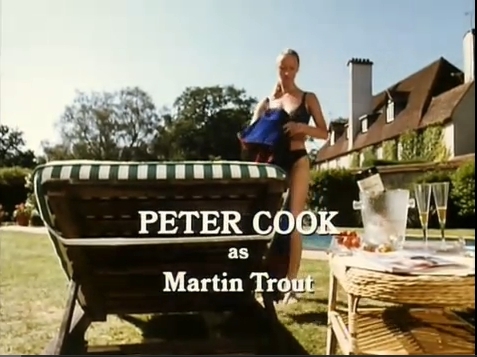 The opening sequence alludes to the then-recent adulterous mishaps of David Mellor, events familiar to everyone in Britain at the time. 90 minutes was stretching the format too far, I think, although thanks to the residual strengths of the characters and David Renwick’s writing I remember this one as being only partially successful rather than calamitously misconceived.